The IR-820 series SCARA robots combine innovative mechanical design with user friendly, proprietary motion control software, to bring you the best of breed wafer handling robots. 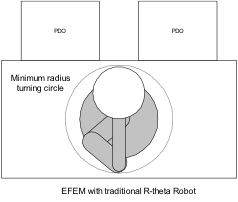 Four independently driven axes provide adaptability and flexibility not possible with 3-axis, R-Theta robot designs. The IR-820C controller is the brain behind the IR-820’s mechanical muscle. Advanced trajectory planning algorithms let you blend multiple moves together smoothly for enhanced throughput. 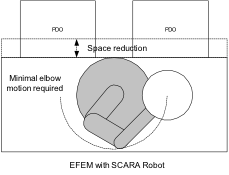 IR-820 SCARA robot offers high-level command for easy integration and offers a user-customizable recovery capability, making recovery from anomalous situations as easy as it is for r-theta robots. It also can set user outputs automatically based on robot poses, which allows OEMs to use PLCs for control of pod door openers, loadlocks etc. For interfacing to the tool’s host computer, you can use RJ-45 (Ethernet) or D-sub connectors (RS-232) . Communication can be through any terminal emulation program, or through a host program that can open a TCP/IP socket or serial connection. Text messages sent back and forth: Controller can be configured to send text messages asynchronously (standard API) or on demand from the host control program (polling API), depending on developer requirements. 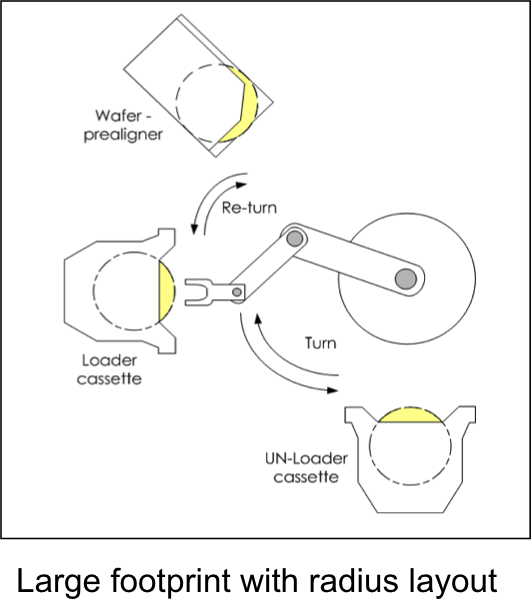 Software layer for emulating other robot languages allows faster integration into existing tools. Copyright © 2011. Reflection. All rights reserved.